There’s a lot more to your chimney than just a bunch of bricks and a fireplace. 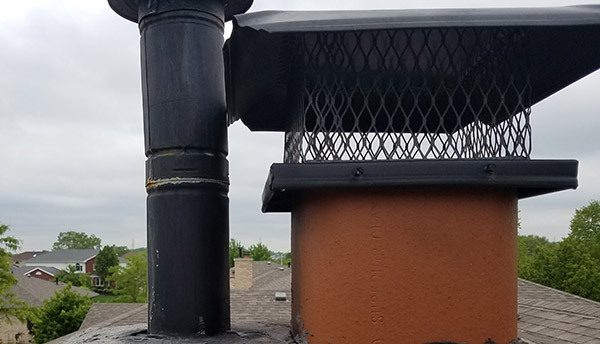 It’s important that you know as much as possible about the different parts of a chimney in order to spot any problems before they get out of hand and so you can better explain what’s going on when you decide to get a chimney repair. 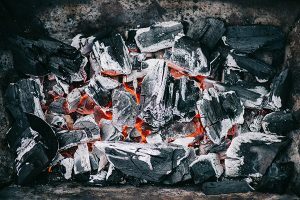 You can never be too safe when dealing with fire and that’s why we’re here to help explain all the different chimney parts so you can be ready for anything. Many people think of only fireplaces when they hear the word chimney. 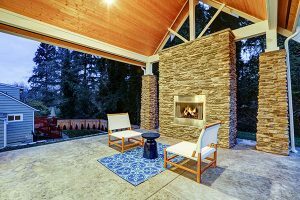 While the fireplace is where the actual fire takes place and is what everyone’s paying attention to, there’s much more to a chimney than just a fireplace. There are multiple important components to the exterior of a chimney that are absolutely crucial to the performance and safety of your chimney and fireplace. Below, we’ll go over the exterior parts of a chimney and why they’re important. Obviously, you know that bricks are what make up a chimney, but they’re more important than you may think. The bricks are the foundation of your chimney’s stack and if they’re not in good condition, your fireplace won’t perform well and your home’s safety will be at risk. If the brick and mortar on your chimney is deteriorated or damaged, it can allow moisture into your chimney. As a homeowner, you know that anytime moisture gets into your home it’s a problem. Your chimney’s structural integrity will be in question if the brick and mortar isn’t up to standards. In such a case, you can trust Early Times to repair your chimney and the tuckpointing to get it back to looking new and functioning properly. Get a free quote now to start your chimney repair. Chimney caps are found on the top of the chimney and protect against rain, snow, debris and even animals from getting into your chimney. They’re basically a hat to cover the opening of your chimney and they often have wiring around them to help protect against factors other than water. Not to be confused with chimney caps, chimney crowns are also on top of the chimney. However, they’re only found on masonry chimneys and not prefabricated or factory-built ones. A crown is the slab of concrete that covers the majority of the opening on top of your chimney. The cap is what covers whatever opening is left where smoke comes out of. It’s crucial to keep your chimney crown in good condition because it’s the main barrier between the outside and your chimney. The crown slightly slopes on the sides to help prevent rain and snow from building up on top of your chimney. 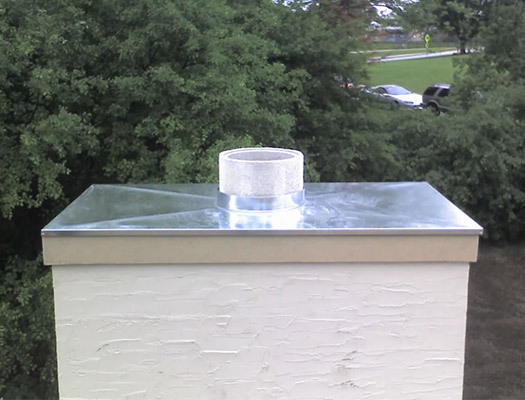 If you find that your chimney crown is damaged in any way, you must get it repaired or replaced as soon as possible. 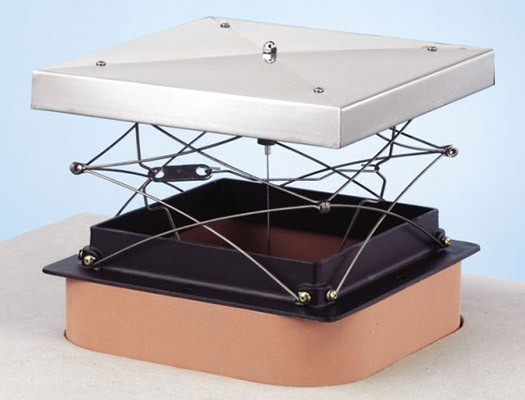 For those with prefabricated or factory-built chimneys, a chase cover, or chase top, is what’s found on top covering the opening of your chimney. It does the same job as a chimney crown on a masonry chimney. Chase covers can be made from copper, stainless steel, aluminum or galvanized steel. Copper and stainless steel are the more popular options because of their durability and longevity. Aluminum chase covers have many color options but aren’t as durable and galvanized steel can rust and is more of a short term solution. Flashing is found where your chimney meets the roof. It helps protect your chimney from moisture penetration. 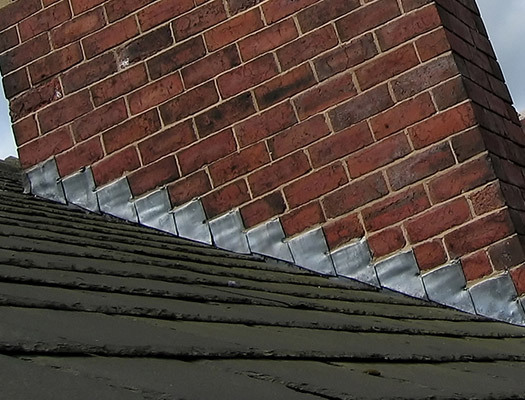 Chimney flashing can be made of aluminum, steel, copper or vinyl and it’s crucial to have flashing that’s in good condition. Not only does flashing help keep your chimney protected, it helps prevent moisture from entering into your attic or rooms underneath the area. 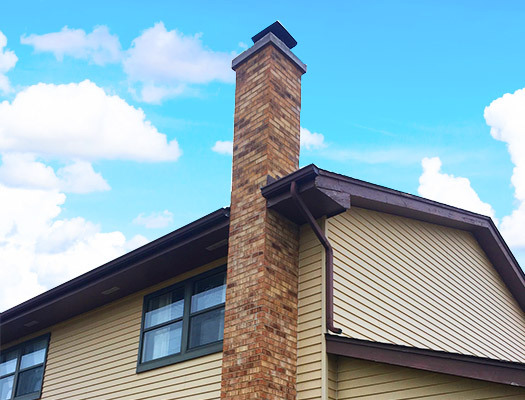 Now that you know the exterior components of a chimney, it’s time to go over the parts that get the most attention – the interior chimney parts. There are many interior parts of a chimney and all of them play a major role in your fireplace’s performance and safety. The flue of your chimney is the area where smoke from the fire travels up and out of your home. 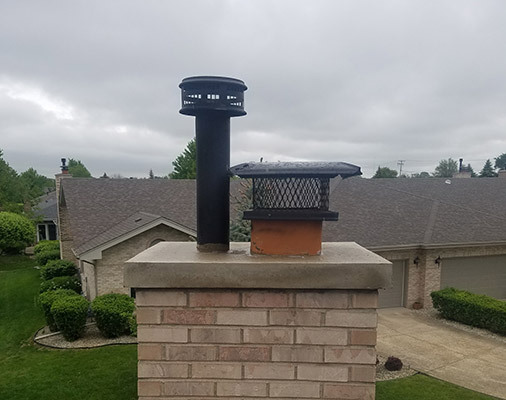 Remember to have your flue inspected every year with a chimney inspection because it can become lined in soot and pose a fire hazard if not taken care of. Just before the flue, the smoke chamber is where smoke first enters on it’s path to the outdoors. The smoke chamber is an area with sloped walls to help create an easier path for smoke to pass through to the flue. In the chamber lies the smoke shelf which is a flat area that collects any moisture or debris that may enter through the top of your chimney. The smoke chamber is also an area that can get caked in soot and creosote, so it’s important to have it cleaned and inspected at least once per year. Next is the fireplace damper, also known as a throat damper. The damper is the piece that opens and closes your fireplace to the chimney. You’ll want to keep it closed when you’re not using your fireplace to keep drafts out of your home. When using your fireplace, you have to be able to open your damper to let the smoke out or else it’ll billow back into your home. Having a properly working fireplace damper is one of the most important parts of a chimney. If you find that your damper no longer does its job, Early Times will replace it. Get a free quote now for your new fireplace damper. Another chimney part that’s absolutely essential to your home’s safety is the chimney liner. 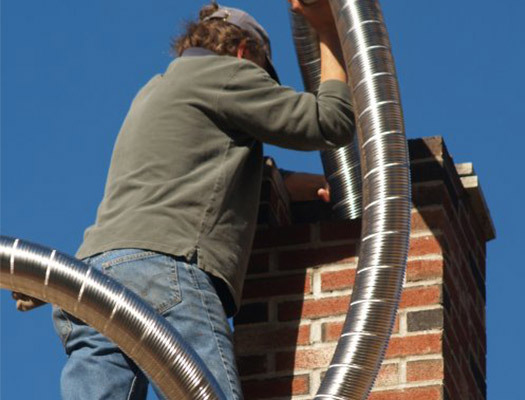 Chimney liners encase the walls of your chimney and lead smoke up and out of it. They can be made from aluminum, stainless steel or clay. Clay liners are the least durable of the three and are usually the original lining of a chimney. When it’s time to replace your liner in your masonry chimney, stainless steel is the way to go. It’s very versatile as it can be rigid or flexible to fit perfectly in your chimney. Aluminum liners are used for gas fireplaces only. Moving into the fireplace, there are a few different pieces to the puzzle. The first being the firebox and hearth. This is the area where the fire is actually made. 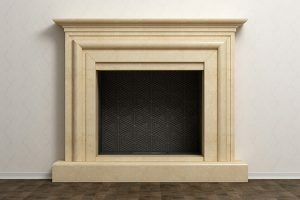 Some additional features of a fireplace can be a mantel, glass doors or even an entire fireplace insert. For fireplaces that go beneath the floor and into the basement, they feature an ash dump, ash pit and cleanout door. This is an area where you can dump the ashes from previous fires and clean it out later as it accumulates in the ash dump instead of having to clean and throw away the ashes after every fire. There are many different parts of a chimney and all need to be taken care of in order for your fireplace to be safe and efficient. Knowing what each part is and its purpose will help you spot problems and be able to explain them to a chimney repair service. 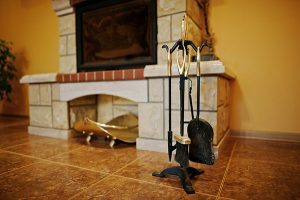 When you do need to contact a chimney company, there’s no better option in Chicagoland than Early Times Home Solutions. We’ve been serving the area since 1985 and have devoted our products and services to keeping your home clean and safe. Whether you need a chimney liner, crown, damper or anything in between, you can start your project with a free quote online from Early Times.